Allen Pratt is a senior at Riverdale High School. He is tied for first in his class with a grade point average of 4.13 and scored a 30 on his ACT. Allen is a member of his high school band, National Honor Society, Fellowship of Christian Athletes, and Rotary Interact. He is a three-sport athlete, participating in football, basketball, and baseball. He is a captain on his football and baseball team, he also earned All-Conference honors in football. Allen is an Illinois State Scholar and works as an umpire for youth baseball. Allen plans to attend Western Illinois University this fall to major in Engineering. Aspirations: Allen hopes to pursue an engineering career with one of the great companies here at home in the Quad Cities. 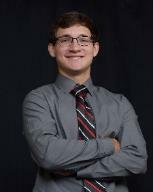 Kyle Hoffman is 4th in his class at Muscatine High School, scored 31 on the ACT, and is a member of the National Honor Society. He is currently employed at Reynolds Engineering via Muscatine High School’s Work Based Learning (WBL) program. 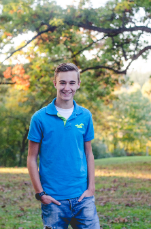 Despite completing seven AP courses the past three years, Kyle has made time to be active in cross-country, soccer, track, musicals, participating on a rookie FIRST Robotics Competition (FRC) team and mentoring two successful FIRST Lego League (FLL) teams. Kyle has served younger students for years as a youth leader at his church. Two years ago, Kyle founded a non-profit effort “Catapults for Kids and Classrooms!”, raising $11,000 to fund the development and placement of STEM ‘kits’ in each of his home school district’s twelve K-8 sites. 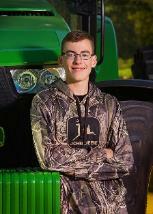 Kyle plans to major in mechanical engineering at Iowa State University beginning this fall. Grant Blaskovich is a senior at North Scott High School and has a 3.8 un-weighted GPA. Grant is an active member of National Honor Society, has played on the high school golf team and soccer team the last 4 years, was involved in the FTC Robotics Club, and enjoys volunteering in the community. Grant completed the Science and Engineering Apprenticeship Program last summer through the Edgewood Chemical Biological Center. 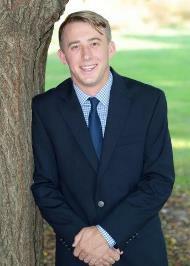 He is currently working as an Intern at Bush Construction in Davenport, Iowa. Grant will be attending Iowa State University in the fall to major in Construction Engineering. 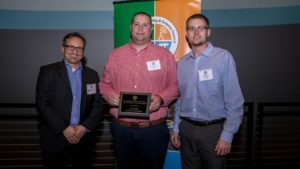 Aspiration: After earning his engineering degree, Grant plans to work in the Construction Industry furthering the advancement of structures and creating buildings that positively impact communities. Sam is a senior at Fulton High School in Fulton, IL. He has a GPA of 3.8 and a cumulative ACT score of 25. He is a member of NHS, Science Club, Thespians, and is president of Key Club. He has competed on the swimming and the track team for 4 years. He plans to attend Calvin College in Grand Rapids, MI to major in mechanical engineering while continuing to compete on the collegiate level in both sports. He currently helps on the family farm, working with livestock and doing fieldwork. Over the summer he works for the road commissioner. He is a member of his church youth group and has recently traveled to Texas to help with clean up efforts from Tropical Storm Bill. His goal is to come back to this area to use his degree at John Deere in Moline, IL. Brendon Lee is a senior at North Scott High School. He was an unweighted GPA of 3.96 with an ACT score of 31. Brendon is a four year honor roll student while participating in several dual enrollment classes through EICC. He has played basketball, ran cross country, and ran track for all four years of his high school career. From these sports, Brendon has earned two varsity letters in cross country, two in basketball, and two more in track. He has served as a captain for his varsity boys basketball team during his senior year. He also earned several IHSAA academic awards. Brendon is actively involved in North Scott’s National Honor Society and Fellowship of Christian Athletes (FCA) organizations. He is also currently serving on the leadership board of the Teens for Tomorrow grant program. After high school, he will be attending the University of Iowa to pursue a degree in Energy and Environmental Engineering. Allyssa Renner, a senior at Morrison High School, is top of her class with a GPA of 4.08 and an ACT score of 30. She is an active member in Student Council, Key Club, and National Honor Society. For the past two years, she has been a leader in BLIND, a program dedicated to community service and helping freshmen adjust to high school. Allyssa has been involved in band, jazz band, and instrumental contests for the past four years. This year, she joined the Advanced Choir and Madrigals program at Morrison High School. She has been a counselor for the Rotary Youth Leadership Awards Camp (RYLA) for the past two years. Allyssa has also made time to go on four different mission trips to Oklahoma, Wisconsin, New Mexico, and South Carolina, while also planning to attend a fifth trip to Madison this year. An active member at church, she attends youth group and leads a bible study for the teen girls in her church. Her other interests include piano, swimming, and listening to TED talks. Next fall, she plans to major in Biomedical Engineering at the University of Iowa. Aspiration: She hopes to continue her education and receive her Master’s degree at the University of Iowa. For her career aspirations, she hopes to work in a hospital and travel to third world countries in her free time to improve the medical equipment and medicine in those countries. 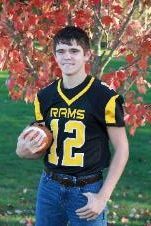 Zachary is a senior at Sherrard High School with a grade point average of 3.6 and an ACT score of 30. Zachary has participated in Cross Country and Track during all four years of high school. He was Captain of the Cross Country team his senior year. He is an active member of the STEM Club and the Scholastic Bowl Team. He competed in WYSE Testing as well as the QCESC Bridge Building Competition in 2017. Zachary was named an Illinois State scholar. He held two jobs during high school working in the fall for a local pumpkin patch and throughout high school for DW1 Land Trust doing a wide variety of skilled work. 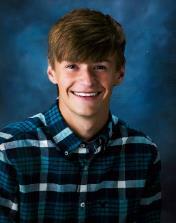 Zachary plans on attending Western Illinois University, majoring in Mechanical Engineering with a minor in Mathematics. Aspiration: Zachary plans to become an Industrial Manufacturing Engineer working in the Quad Cities area. 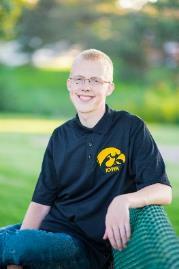 Andy Whiteman is a senior at Bettendorf High School. He is ranked first in his class with an unweighted GPA of 4.0 and an ACT score of 29. He has participated in basketball, golf, and baseball where he received first team MAC All-Conference and All-Metro honors. Andy is involved in FTC robotics, jazz band, and National Honor Society at his school. He is also an active member at Redeemer Lutheran Church, volunteering for their youth program. Employed part-time by the Bettendorf Parks Department, he helps run their youth camps and activities. Andy will be attending Iowa State University this fall and will enter their engineering department, declaring a field at a later date. Aspirations: Andy hopes to develop new solutions and technologies that will make a difference in people’s lives. Elisabeth is a homeschooled senior with a 4.0 G.P.A. on an unweighted scale and an ACT score of 33. In her senior year, she is taking several dual-credit classes at the community college on the pre-engineering track. 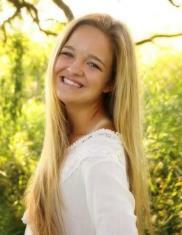 Throughout high school, Elisabeth has participated in many extra-curricular activities. With a group of friends, she created and participated in a writing group. She also was a part of a member-led bible study. 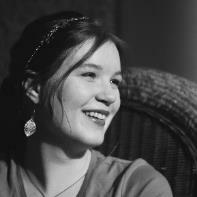 Elisabeth is an active member of two youth groups and with those groups has participated in community service projects. For the past three years, she has volunteered at the Women’s Choice Center by assembling layettes on a monthly basis. In her sophomore year, Elisabeth was a member of Mother of Divine Grace’s Chapter of the National Honor Society. Elisabeth was named a 2017-2018 Illinois State Scholar. Elisabeth plans to attend the University of Illinois in the fall of 2017 to major in Civil Engineering. Aspiration: Elisabeth hopes to work as a structural engineer repairing and improving our nation’s water infrastructure. Adam is a senior at North Scott High School. He is the secretary of the National Honor Society and first chair trumpet in the Symphonic Band. Adam earned varsity letters in cross country and track, and is an inducted thespian for the speech team. Adam achieved a 3.79 unweighted GPA and an ACT score of 28. He earned his Eagle Scout rank in Boy Scouts, completing over one hundred hours of community service along the way. Adam works part time at QC Analytical Services in the laboratory. 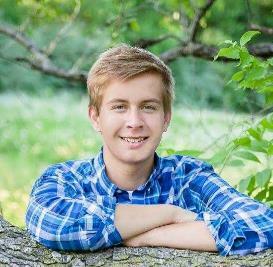 Adam plans to attend Bradley University and major in Mechanical Engineering. Aspirations: Adam hopes to work on projects in the renewable energy field to make them more efficient and affordable. Trevor Viren is a senior at United Township High School with a 3.8 GPA. He is a member of Link Crew, Interact Club, and Letterman’s Club. Trevor is also a dedicated cross country and track athlete, earning the 2016-2017 cross country most improved award. 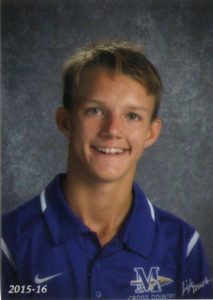 He has ran cross country all four years and was varsity for the past three, and has been a part of the track team for three years and was varsity the past two years. He has been employed at Short Hills Country Club for two years, bussing tables. Trevor plans to attend the University of Wisconsin-Platteville this fall to study engineering. Aspiration: Trevor hopes to graduate from Wisconsin-Platteville with an engineering degree and work to make the Quad Cities a better place. Brad is a senior at Central DeWitt High School. He has an unweighted GPA of 3.98 with an ACT score of 30. Brad is a member of the Central DeWitt Future Business Leaders of America (FBLA), where he has served as Parliamentarian, Vice President, and currently President. He is also involved in Student Council and National Honor Society. He has played varsity baseball for 4 years, varsity golf for 3 years, and basketball for two years. Outside of school, he has served as President, Vice President, Treasurer, Reporter, and Historian of the Welton Jr. Farmers 4-H Club, where he has been a member for 9 years. Brad will be attending Iowa State University this fall and majoring in Aerospace Engineering. Aspiration: After college Brad hopes to design navigation systems for spacecraft or defense aircraft. Shivani Ganesh is a senior at Rivermont Collegiate in Bettendorf, Iowa. She attained a 32 on the ACT and has a 3.8 unweighted GPA. 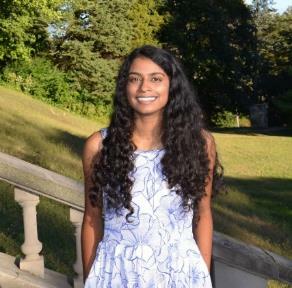 From the eighth grade to junior year, Shivani took part in FIRST programs. She has held roles such as head of strategy and robot design and head of marketing in her FTC team, Import*. Outside of the classroom, she has built upon her interest in astronomy by founding her school’s Astronomy Club and studying supernovae with St. Ambrose University faculty. She also plays volleyball, pursues modern Indian dance, and participates in the Political Discussion group. Shivani greatly cherishes volunteering at one of the Arc’s women’s group home, helping individuals with mental and physical disabilities become independent and contributing members of our community. Although undecided about her choice of university, Shivani plans to major in physics, while fulfilling her interests in social activism. Aspiration: Shivani hopes to work on interplanetary missions (since they shall most likely be a reality a few decades from now) and study the rapid expansion of the universe. Gavin Graham is a senior at Moline High School and has a 4.6 GPA, ranked 12th in his class, and had a 28 on the ACT. 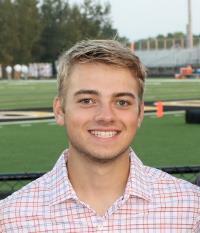 In high school, Gavin was very active participating in, Soccer, Natural Helpers, Sports unlimited, Chess club, HOSA, club soccer, Jr. Rotarian, was in National Honor Society and volunteered at the boy’s and girl’s club of the Mississippi valley. Gavin is equally accomplished on the soccer field as he is in the classroom. Over the last 4 years, Gavin was award best sportsmanship, 2x Most Valuable defender, 2x 2nd team all-state, 3rd team academic all-state, 2x metro 1st team, Metro player of the year, and an all-area 1st team award. 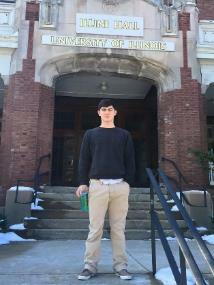 Gavin will be attending the University of Illinois at Champaign-Urbana to pursue a degree in Electrical Engineering. Aspirations: His senior year, Gavin would like the emphasize in Power and/or communications in order to help develop technology to help pioneer more efficient, alternative energy or develop sensors used in self-driving cars for companies like Tesla. Emilia Porubcin is a senior at Rivermont Collegiate in Bettendorf, Iowa. She has been involved in various biological and computational research experiences, and has spoken internationally about lung cancer research. She is the founder of the Pounce Fine Arts Gallery, for which she was named a Herbert Hoover Uncommon Student. She was also named an Illinois State Scholar and a National Merit Finalist. She has held leadership positions in National Honor Society, Student Council, and Bettendorf girls’ varsity tennis, and she has reached state tennis competition every year. Emilia plans to pursue a degree in Computer Science. 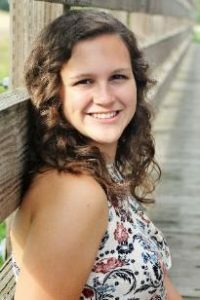 Aspiration: Emilia hopes to use computational tools to enhance humanities education and research. Brina Kraft, a senior at Muscatine High School, is 8th in her class with a GPA of 4.25 and an ACT score of 33. Brina is well accomplished in service and leadership and athletics. She is heavily involved in her school’s clubs holding offices in many; Key club Vice president; UNICEF club vice president; Science Club co-president. Brina is a member of Muscatine’s National Honor Society and chosen for the Gifted and Talented Program. Brina has been a four-year honor roll student while earning many college credits through EICC program. She is team captain of the girls’ varsity cross country team and the girls’ varsity track team and a varsity member of Muscatine’s soccer team. Brina will be attending Iowa State University this fall majoring in Engineering and running for the Cross Country and Track & Field team. Aspiration: After college Brina would like to use her skills in engineering to make positive changes in the field and motivate younger generations of students to enter STEM engineering. 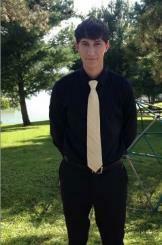 Eli Gaeta is a senior at Alleman High School and is ranked 6th in his class with a GPA of 4.61 and an ACT score of 30. He is very active in his school as the President of both National Honor Society and Engineering Club as well as a member of Student Council, Key Club, Sigma Alpha Delta, Pathfinders, Dance Marathon, Foreign Language Club, and Drama Club. Eli is close to becoming an Eagle Scout from Troop 109 in Moline. He has competed as a member of the WYSE team for two years placing first and top scorer in Physics and has twice placed 2nd in Engineering Graphics. Eli has served as a mentor to Seton Middle School’s FIRST Lego League team for 5 years. 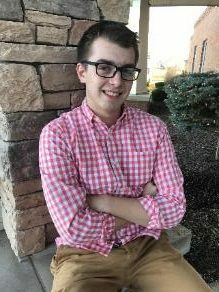 He has completed more than 1000 hours of volunteer work for various organizations since his Freshman Year and wants to continue serving others in need in his future. Eli plans to attend Iowa State University to major in Aerospace Engineering with a minor in Political Science, Spanish, or Astronomy. Aspirations: Eli hopes to work for NASA one day to design new systems that will venture into space. After a career in the field, he would like to be a physics or math teacher to inspire curiosity in the youth to come. Garvin Paper, from Walcott, Iowa, is a senior at Davenport West High School. He has a 3.5 GPA and is a member of the National Honor Society. Garvin was a four year varsity letter winner in golf and made the All Conference Academic Teams his junior and senior years. Garvin was also on the bowling team all four years of high school. He is currently participating in Student Built Home. He has been a member of the Blue Grass 4-H Club since 2008 and a member of the 4-H County Council since 2013. Garvin attended American Legion Boys State in 2016 and plans to return to be a Counselor at Boys State in 2017. He is a volunteer for the Walcott American Legion Post 548 Avenue of Flags project. He is a member of St. John’s United Methodist Church. He works part-time at Hy-Vee. Garvin plans to attend St. Ambrose University to study Mechanical Engineering. He works 3 jobs:anentrepreneur; running lawn and snow removal business, 22 accounts on contract, a men’s clothing store, and respite care for an autistic classmate. Aspiration: I would love to right out of college work for an automotive company, then later down the road open a firm or do engineering consulting. Bryan is Civil Engineer with the U.S. Corps of Engineers. He serves as Lead Flood Area Engineer for the Quincy region and oversees 270 miles of levees and floodwalls and provides flood risk reduction to 16 communities. In addition Mr. Snook is serving as Team Lead for the modernization of the Rock Island District’s water management systems. 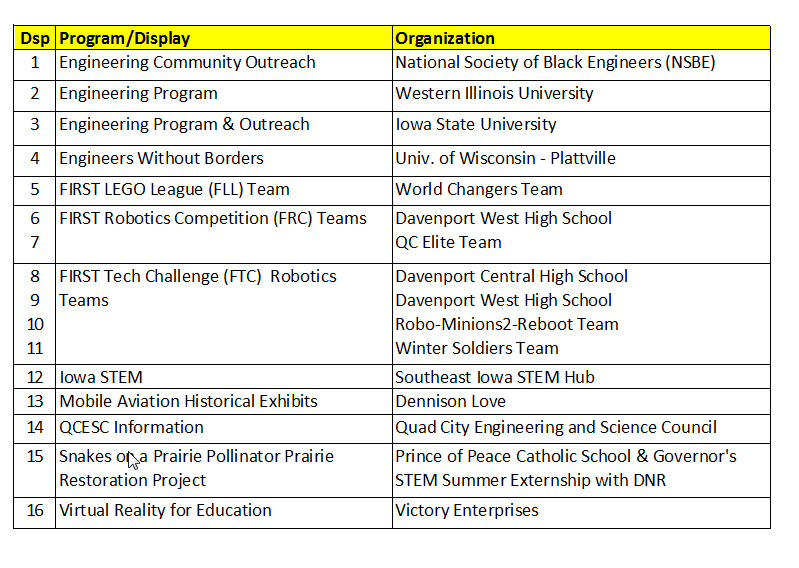 Bryan recently assisted in FFL competitions and Chair for this year’s SAME engineering camps. Richard is a Senior Engineer with KJWW Engineering Consultants. He has managed many Electrical Engineering projects including the design of power distribution for a large children’s hospital. 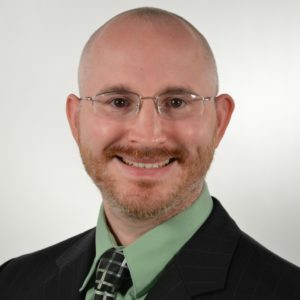 His electrical engineering skills in addition to his acoustical engineering knowledge have been critical to the development of tools and methods his firm uses for design of mass communication systems. His total project experience thus far in his career has reached over $1 billion in total construction. The 2017 Junior Scientist of the Year Award is going unfilled this year. Please consider nominating someone for this award next year. Donna is a Warning Coordination Meteorologist for NOAA National Weather Service. Ms. Dubberke uses her scientific expertise and extensive experience as an operational and research meteorologist to work with the community to improve preparedness and resilience for severe weather and flooding. 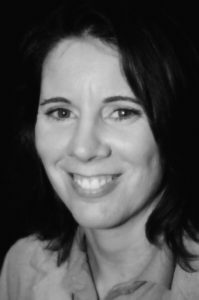 For several years Donna has been very active in STEM activities being a mentor, advisor, and judge for FLL, FTC, and FRC events and keynote speaker for FLL Kickoff. 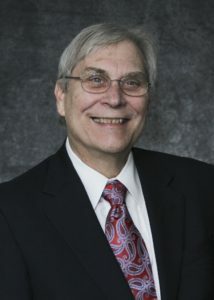 Bill is Vice-President, Chief Chemical Engineer, and Senior Project Manager at Stanley Consultants. With 45 years of experience he has managed over $50M in project revenue. Mr. Liegois is considered an expert in the design of heat / power plants as well as chilled water plants and has executed projects utilizing these technologies globally. 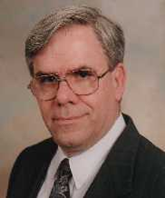 He holds a patent, has published numerous papers, and has taught a cogeneration course at the University of Wisconsin for nearly 30 years. Sheryl is a K-4 Gifted Student teacher at Camanche Community School District, with over 30 years of classroom experience. She revamped the gifted education curriculum to have a STEM/STEAM focus and has been influential in the School District’s move to now have a STEAM focus. 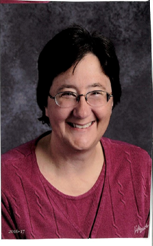 In addition to her STEM focused teaching during the school year Mrs. Kennedy teaches summer robotics coding and coding.org classes that are available to all Camanche students in grades 3 and 4. Event photographer for 2017 Iowa FRC Qualifier in Cedar Falls in March. Tom stepped up when needed and helped the QCESC President as we were going through a major re-design of the QCESC.org website. 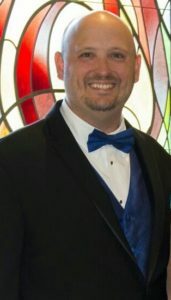 His previous experience of working on a website for his church and his vast knowledge of WordPress, as well as helping transfer the files, photos and content over to the new site helped during a very busy time of year for the organization. applicants and why we now give out 19 scholarships to so many deserving students and that number continues to grow each year. Special thanks to Tom for his commitment to the QCESC and to STEM Outreach and Literacy in our community. Everyone is cordially invited to attend this annual premier event to celebrate, network and showcase the great Science, Technology, Engineering, and Math (STEM) Professionals and Educators in the Quad Cities region. We also award scholarships to high school students wanting to pursue post-secondary STEM education and careers. The QCESC is excited to partner with the Putnam Museum & Science Center to provide an interactive and innovative event that includes more networking time, STEM displays by students, technical societies and educational institutions, entry into Science Center with 40+ interactive displays, plus a special viewing of “Dream Big: Engineering our World”, on the giant screen. 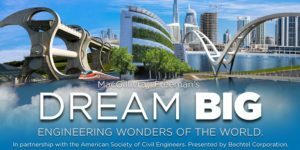 The program will be in the spacious Putnam National Geographic Giant Screen Theater and will include the awarding of about $36,000 to 16 local students along with the annual Quad Cities STEM Awards for top Engineers, Scientists and STEM Teacher and Volunteer of the year. $24 per person or $18 per full-time students with ID. Includes movie and a great selection of heavy appetizers with punch, lemonade, and iced tea. A cash bar will be available. Following STEM related displays are planned for the social along with nearly 40 items for our silent auction supporting STEM Scholarships.